Do you want to paint a light up Snowman? Do you wanna build a snowwwman??? 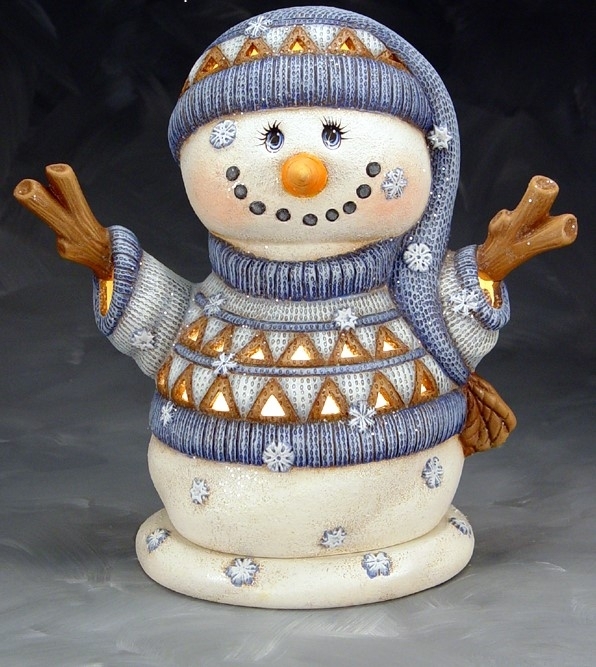 Paint an adorable night light snowman to keep you feeling warm this winter. Choose your colors and learn various techniques such as shading, how to create depth and dry brushing. You will want to keep your snowman out all year because he is so adorable! A fantastic gift for the season & wonderful welcoming decor! Beginner to Advanced. Snowman typically take 4 hours. Class will run until 10 PM, students may leave early and come back to the studio within 10 days to finish the tree if necessary.